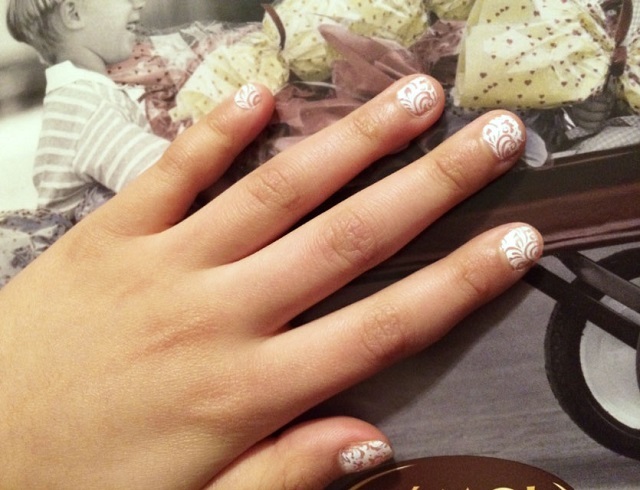 Fashion Polish: Moyou London stamping review! So I give to you my first "real" stampings! 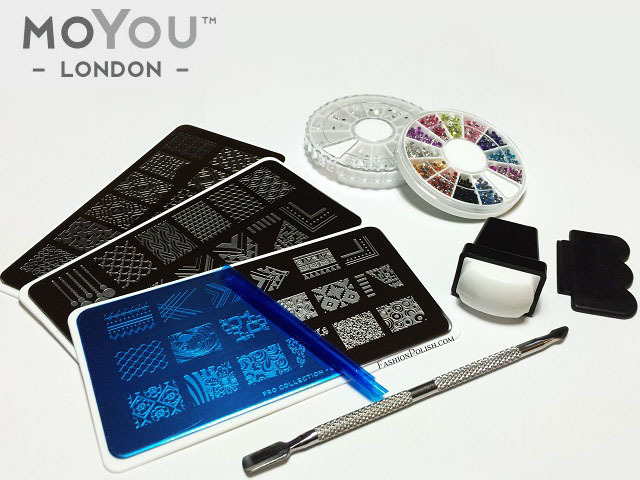 In the package I received from Moyou, I could find 3 plates , the Pro Collection 02 / XL 02 / XL 18, as well as their new rectangle stamp/scraper, cuticle pusher and 2 rhinestones wheels. 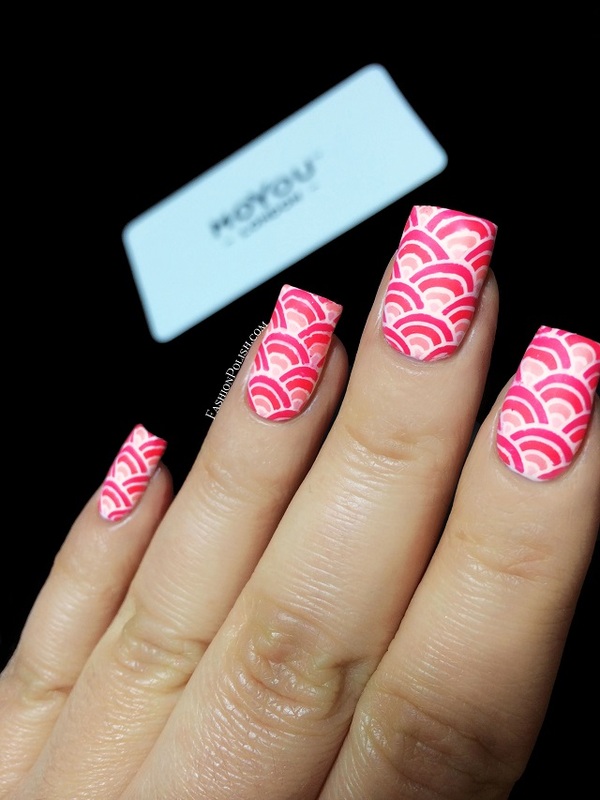 Second look : white reverse stamping with piCture pOlish Fairy Floss, Peaches n'Cream, Watermelon and Coral Reef, mattified. I am blown away by the Moyou plates and stamp : the images transferred fully, the designs were crisp and the stamping experience altogether definitely positive. If I can do it with the very little experience I have, trust me you can too! I'm keeping the rhinestones for a separate review but I've already tried the metallic cuticle pusher, it's nice and sturdy, sharp and gentle at the same time so if you're used to stainless steel pushers, you'll love it as well. 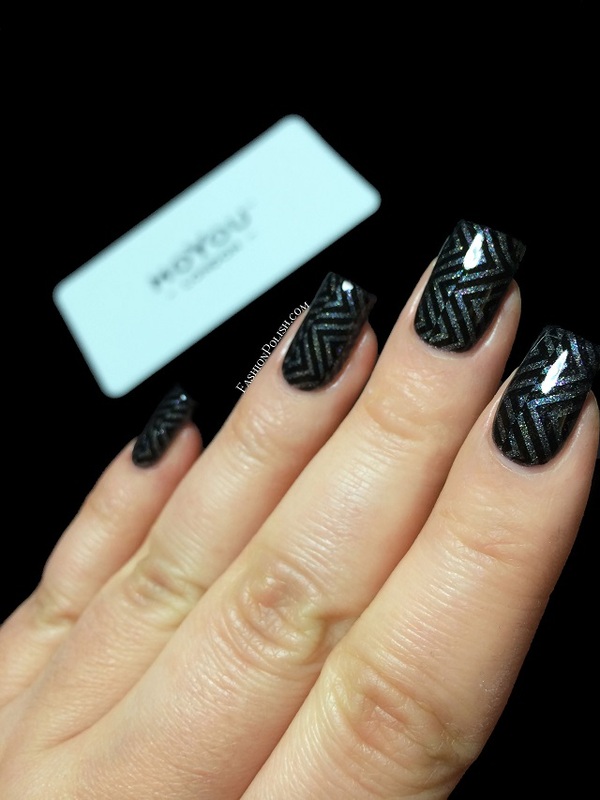 Moyou London products can be purchased directly from moyou.co.uk. New collections are released every Friday so make sure to follow the brand on social media (links) to discover new designs every week. So what do you think about these plates? 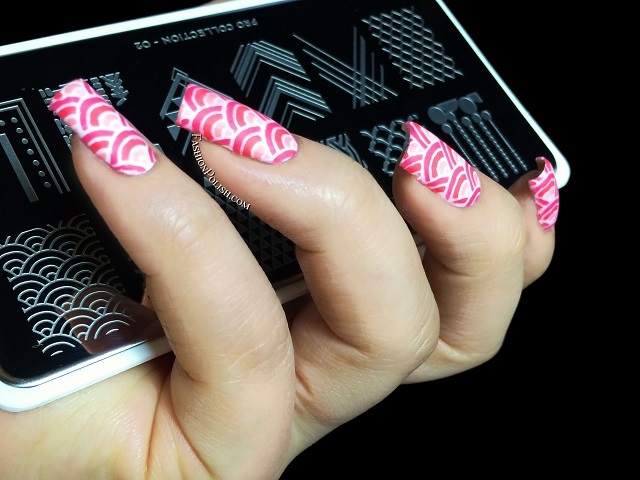 How do you feel about stamping?